Known as The Fox@Connaught since 2003, this pub dates from 1881 and is a Grade II listed building. 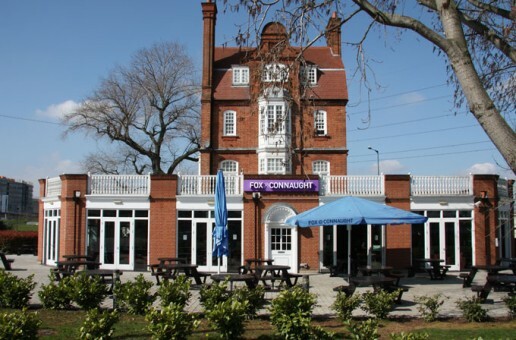 The dockside ‘Connaught Tavern’ originally opened to cater for passengers disembarking from craft berthing at the Victoria Docks, however, as passenger numbers reduced the pub found itself catering more for the dock’s labourers and became a daily congregation point for those waiting to be picked for work. This historic building designed and built by Victorian architects Vipers and Wagstaff is now undergoing a 1/4 million pound refurbishment to the upper floors to convert to a 17 en suite bedroom hotel with room service. Where is Connaught House Hotel in London? Q:What is the nearest tube to the Connaught hotel?